We believe in supporting, encouraging and sharing with others open to personal and spiritual growth through donation or free to join a Harmony Circle. We invite you to step inside your inner world ~ your own heart and mind ~ and collaborate with like minded and hearted others. Regardless of race, culture or religion, our aim is to use our beautiful minds and hearts to focus on healing ourselves and others. With meetings on line through our Harmony Circles, shared blogs and podcasts we are using the spirit of INTENTION to function harmoniously as one with free flowing thoughts and mindful action for the Greatest Good of all. We collaborate regularly once or twice a month, or more if needed, to help raise the level of consciousness, with our mind and heart (intention) firmly on the greater good of all. It’s in here ~ in our own minds and hearts ~ where there’s an unlimited source of peace, love, passion, purpose, joy and happiness. “We are all made of stars and carry eternity inside"
We are pattern makers and breakers of our own life journey. Deep down we all know the mind can affect change. Isn’t it up to us individually and collectively to make this happen? And for the greater good of all? We’re all here collaborating together to help to raise the level of consciousness, with our intention firmly on the greater good of all, regardless of race, culture or religion. Your Guide to your inner world where happiness resides...COME ON IN! Are you aware you wear masks? What impact might it have on you (and others) if you knew you were wearing one or more masks? 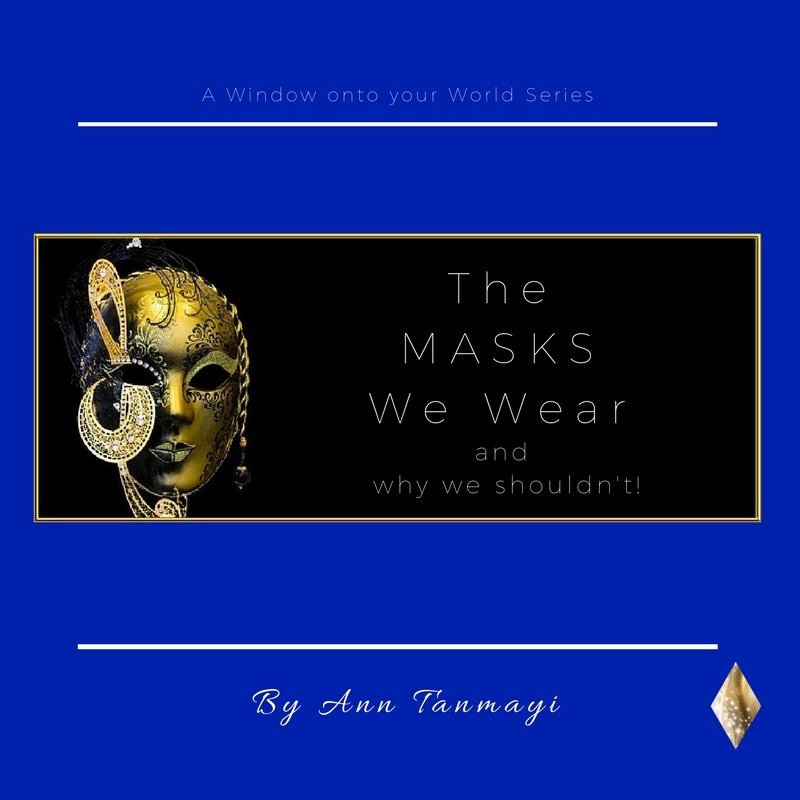 What might happen in your world if removed your masks? All this and more will be answered ..
Just click HERE for instant free ebook on THE MASKS WE WEAR and please share! We’re a community (coming-into-unity with one another) Small circles via online each with a maximum 8 people. Regardless of race, culture or religion, we’ve joined together to initiate individual and collective responsibility, toward raising consciousness - for self and greater good of all - regardless of race, culture or religion. We form small circles and integrate larger ones too. There are no leaders, simply bringing together our own innate skills, sharing amongst others and leading when ours is the greater strength. Interested? Want to know how we work together? Free E-Book : helps you discern your own truth whilst living in this 24/7 full-on digital world. Pop your best email HERE with your name, tap the submit button and we’ll send a monthly email with great blogs/podcasts from our community. No obligation it’s free! With your email you’ll receive an e-book on Living from the Answer - Deep Knowing on Demand. It’s designed to demonstrate how to remain centred when confronting life’s ups and downs. You see, all the answers really are inside of you. This little book will help you to discern your own truth whilst living in this 24/7 full-on digital world. We need free flowing thoughts and mindful action to function in this 24/7 full-on digital world. There are signposts you can follow on your life journey to easily meet with your intuitive and all-knowing wise Self and remember what you’ve forgotten about living from your inner world. Please accept these introductions simply click on any of the four R’s above! You are the pattern maker and breaker of your own destiny. Anna Tanmayi offers spiritual mentoring by donation and free introductions to joining and networking within Harmony Circles where guidance, support, inspiration and empowerment in Meeting Your Beautiful Mind regardless of race, culture or religion is her mission in life. Her second, yes she has two, well why not? Is for a Silver Revolution, where we live in an age that has no age, where we aren’t penalised through a number, a religion, culture or race! Meet with her for video calls, email conversations and online and in-person mentoring.